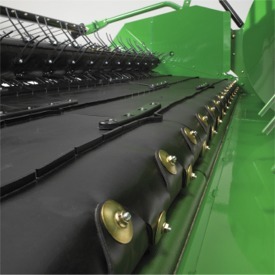 The hydraulic windscreen utilizes double-acting cylinders which react quicker in maximizing the control of the crop. 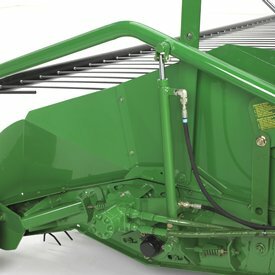 The windscreen is controlled by the fore-and-aft control on the combine hydro handle. 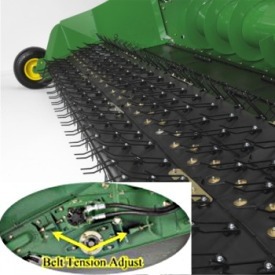 A benefit is the header backshaft speed can be controlled independently of the windscreen allowing for increased belt pickup, and auger/feederhouse chain speed for tough windrow conditions. 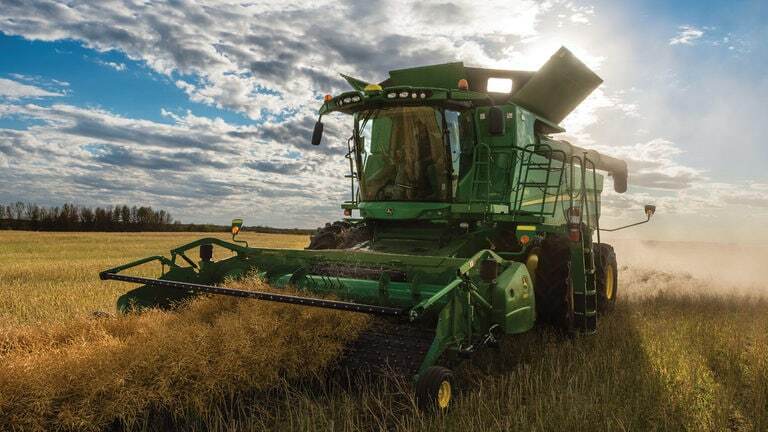 The 615P features 4.5-m (178-in.) 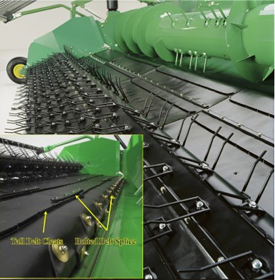 wide belts for enhanced belt tracking with reduced seed loss. 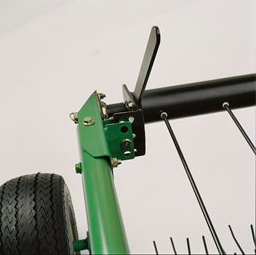 Adjustment of the air springs requires no tools and is simple compared to other belt pickup suspensions. 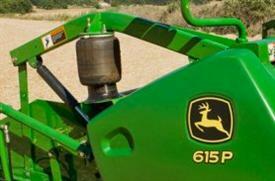 Adjust the air springs according to instructions located on the belt pickup side sheets.